Review: Bachman / It's Just Movies Review: "Bachman"
Like Eric Clapton, Roger Waters and Neil Young, great musicians are obsessive-compulsive about their music from an early age. As time goes on, some branch off into other things, but most of the great ones keep on performing. 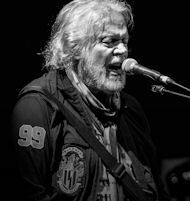 This “Bachman” bio-doc is about one of these obsessive greats, Randy Bachman of The Guess Who and Bachman-Turner Overdrive. Consumed with a love for his guitar and songwriting, he is still playing “American Woman,” Takin’ Care of Business” and “You Ain’t Seen Nothin’ Yet” out on the road while creating more songs. An anomaly in the rock ‘n roll community, Randy married a Mormon, had six kids and neither drank nor smoked. At 75, this abstention might credit what his friends now see – someone forever young, and still a creative force on the road. Sadly, when Bachman was at his pinnacle, raking in the dough, with 330 gigs a year and little downtime to write more songs, his marriage collapsed, which caused a corresponding collapse in Bachman’s music industry. He lost his dream house on 33 acres in Lynden, Washington with indoor swimming pool and elevator. He also lost contact privileges with his children for one year. What Randy Bachman is like, with interviews from friends, family, including daughter and son, and others in the biz, is filtered through the song clips and his own comments on his life. 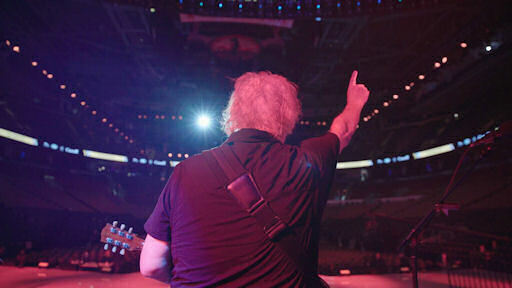 This film isn’t anything like the extravaganza of “Bohemian Rhapsody,” but it does give a good background to the life and music of Randy Bachman. FilmRise released “Bachman” digitally on March 26. It is available for purchase online at iTunes US: https://itunes.apple.com/us/movie/bachman/id1454070434 and Amazon US: https://www.amazon.com/Bachman-Blu-ray-Randy/dp/B07NHRJ1VM.